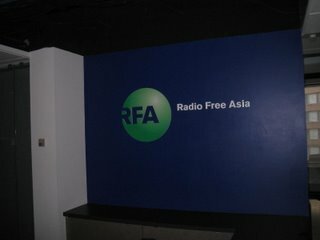 Broadcasting date: October 25, 2006 of both morning(5:30-6:30AM) and evening(7:30-8:30PM) after the national and international news. 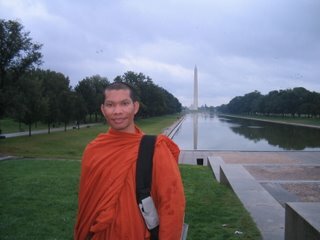 Firstly, I would like to ask Preah Dejkun about name, place and purposes to come to United States? 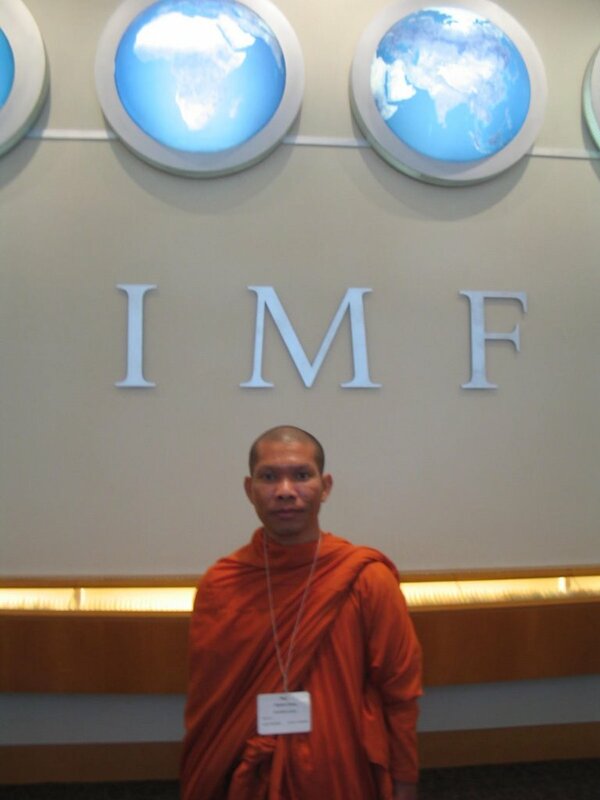 My name Preah Bhikkhu Seng Sophan stayed in Watt Khmer Samakii Calgary, Canada, Alberta province. I have received fellowship/scholarship from (Hawaii University or) East West Center to study in graduate school called Asia Pacific Leadership Program; and come to field trip in New York and Washington DC for ten days. I will return back to study normally at the University of Hawaii. 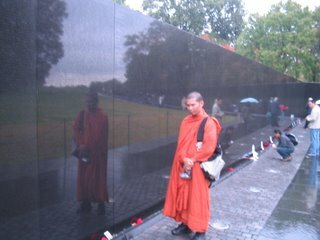 What generation that Preah Dejkun is participating, how many foreign students and what are their countries? In the program, they need forty-eight students but this year we have forty-four students coming from twenty two countries around the world such as Asia: East Asia, Middle Asia, Asia Pacific, South-east Asia; Australia, Europe and there are many students are from North America. I am in generation sixth. 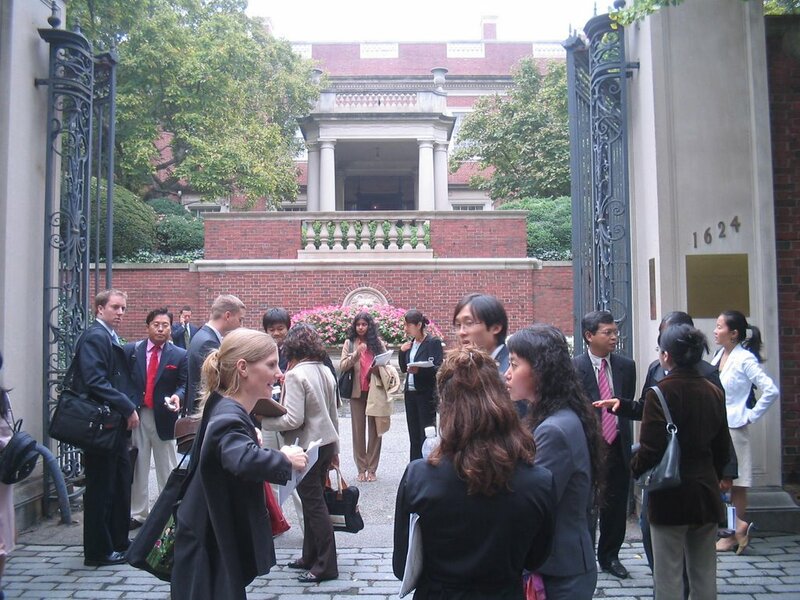 What are the purposes and important objectives of East-West Center to instruct students from around the world; and what importance to those students’ country as well as to Cambodia? Yes, East-West Center as we can see the word East and West that they want people living in the region of eastern named Asia and western named America understand each other specifically the relationship of culture. That why there is Buddhist monk coming to study too. Last year we had a Cambodian monk too, this year we have three: I and other two Cambodian students, one is female and another one is male. The important purposes of East-West Center is to develop human resource focusing on leadership capacity building specifying on education that always called education leadership in which they think that in each society must have youth who create willingness to develop themselves to become a leader. This leadership mainly origins in the self-leading/learning, when we can lead ourselves we can lead our family; when we can lead our family well we can lead the whole community as well as the whole world. They pay attention on t hree subjective courses: Regional Core Issues including economic, culture, religions, politic, environment, information, social and health etc. In present time, they mostly debate on the regional terrorism. Second course is the Leadership Seminar that focuses on the effectiveness of leadership in the future. The last one is Professional Leadership Seminar that emphasizes on duties that we are taking in accountability although we are in official institutes, private companies or non-profit organizations have to obtain the education of leadership. East-West Center has emphasized on these three subjects. Their important purposes are to develop human resource especially young generation in order to leverage them to be the effective future leaders. 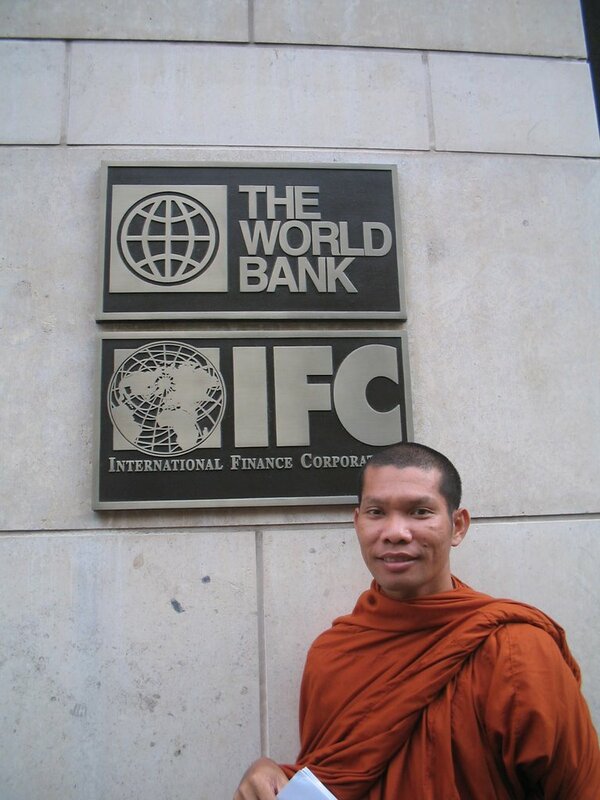 This initiative is very critical for Cambodia particularly those youths including Bhikkhu Monks to perceive that they want to help us very much. How long will Preah Dejkun study at East-West Center? The study program provided by East-West Center has two options: Degree and Non-degree. If we choose to learn Degree, it will take two years. But for me, I chose Non-degree or it is called Graduate Certificate. This non-degree has two options: five months program and nine months program. Five months program is an intensive course consisting of theoretical and practical studies which keep all students busy. If any students want to do internship, they can choose nine months program; and if they don’t want to do internship, they just choose five months and they also can graduate. This year there are many field trips scheduled such as in many places in Hawaii, New York, Washington DC. And at the end of the November, the field trip will spend almost three(four) weeks by passing Taiwan and finally to participate the East-West Center(Hawaii University) Alumni Conference in Hanoi, Vietnam which is the significant conference lasting to almost 10 days(?). So the inclusive learning of APLP emphasizes on concrete experiences: learning, visualizing and implementing. This is the program which I have chosen, the full time course five months. East-West Center is the organization or institution belonging to any countries? And how other Cambodian students who have ability can apply for this fellowship as Preah Dejkun has done? East-West Center is the governmental organization that has been approved by United States congress for almost forty years(? ), and the congress of America funds this center as well as other Americans organizations. In United States has the biggest East-West Center office located majestically in Hawaii Island, Honolulu city. Hawaii Island is the island that connects Asia and America together in the middle. In this island, most people are Asians that seems more than Caucasians. 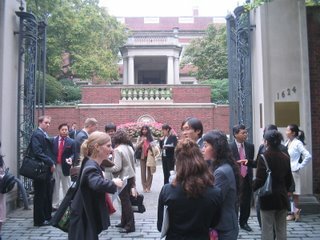 The easy way to approach the East-West Center address is through website: http://www.eastwestcenter.org/ or go to Yahoo or Google search machine by typing East-West Center. In the website there are more informations that you can learn in details than what I have mentioned. Thank you!